In your Pilot Dashboard, we keep track of all, present and planned flights, including the flight plans you pick up from your airline - these will be editable. Your current flight plans will also reflect changes made by ATC or through the Pilot Client. Past flight plans aren't editable, but you can use them as templates for new ones in case you ever want to fly with a variant of past flight plans again. 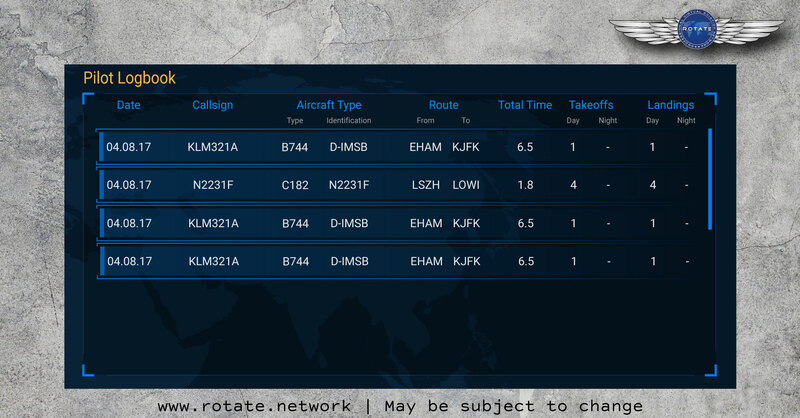 In the Pilot Dashboard, you can also find additional information like your flight briefing or the route. 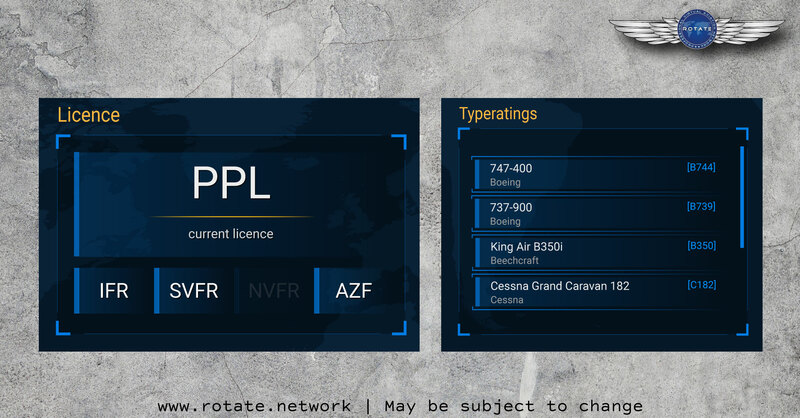 All your plans for your current or upcoming flights are automatically available in the Pilot Client as well as the ATC Client for air traffic controllers to access. Hitting the New Flight Plan button will bring you right into the flight planning tool. 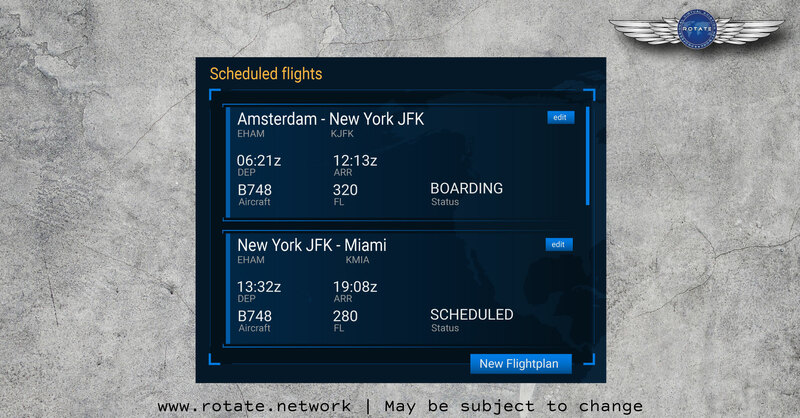 We will bring you all the details of the flight planning tool in a future update. A list of your present and upcoming flights. 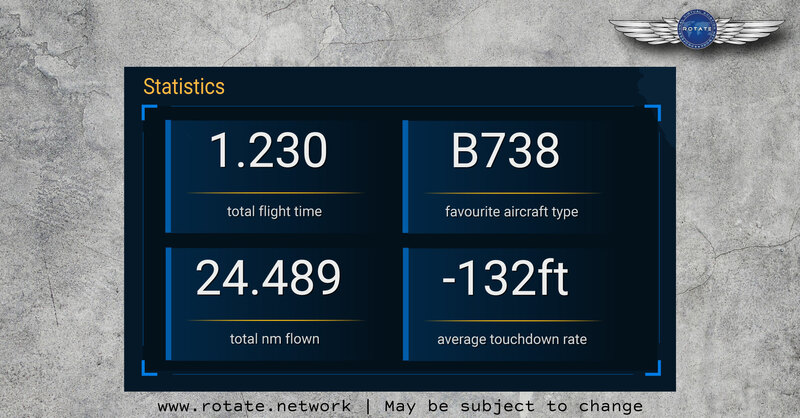 If you want a quick view of the total distance you’ve flown, or to check your average touchdown rate, you can easily configure the stats window to display the most relevant statistics to you in your Pilot Dashboard. With a simple click on one of the stats, you can go to the full statistics page for even more detail and filtering abilities. If you are switching over from an old network and support us in our Kickstarter campaign, we will also give you the chance to carry over flight statistics from your old network as well. Display only the statistics, which are important to you. In the Rotate Network, pilots can earn licences and type ratings for different aircraft. We want to give enthusiasts with a desire for realism and details the ability to get the most out of their simulation. At the same time, we know this can be quite time-consuming and that's why all licenses and type ratings will be optional. If you simply want to fly from A to B after school or work, you are more than welcome to do so. But if you ever want to learn more about your aircraft, how to fly it, or aviation in general, we will make sure it will be worth your time to become a certified pilot. Earn more licenses and type ratings through our pilot career system. A condensed version of the logbook shows a detailed summary of your last flights on Rotate. The logged flight time and amount of landings you perform won't solely be for statistic purposes, this information plays a significant role in earning your licences and type rating. 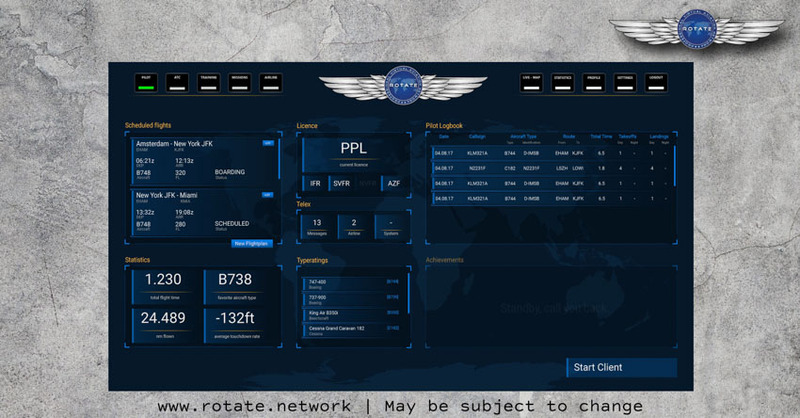 A compact version of our intelligent Pilot Logbook.